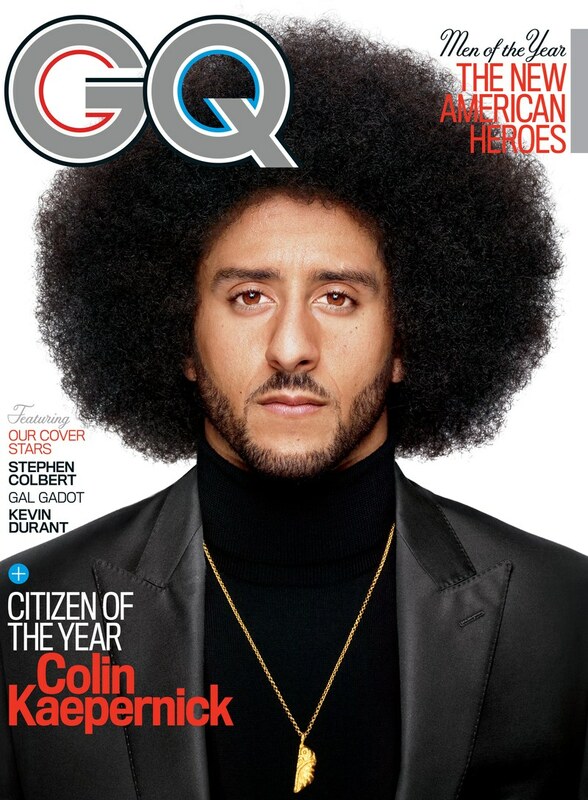 When then-San Francisco 49ers quarterback Colin Kaepernick decided to sit (and later kneel) for the national anthem during the 2016 NFL preseason, it started a chain of events that eventually led to Kaepernick filing a grievance against league owners for collusion and, most recently, being presented a Muhammad Ali Legacy Award by Beyoncé. As we look back at the year that was athlete activism, from creating the Players Coalition in professional football to the NBA champions refusing to visit the Trump White House, The Undefeated goes back to where it all began with Kaepernick the summer of 2016, providing a month-by-month timeline of the quarterback’s fight for equality and against the NFL. Quarterback Colin Kaepernick of the San Francisco 49ers drops back to pass against the Green Bay Packers in the first half of their preseason football game at Levi’s Stadium on Aug. 26, 2016, in Santa Clara, California. An NFL executive tells Bleacher Report, “F— that guy” in response to Kaepernick’s protest. 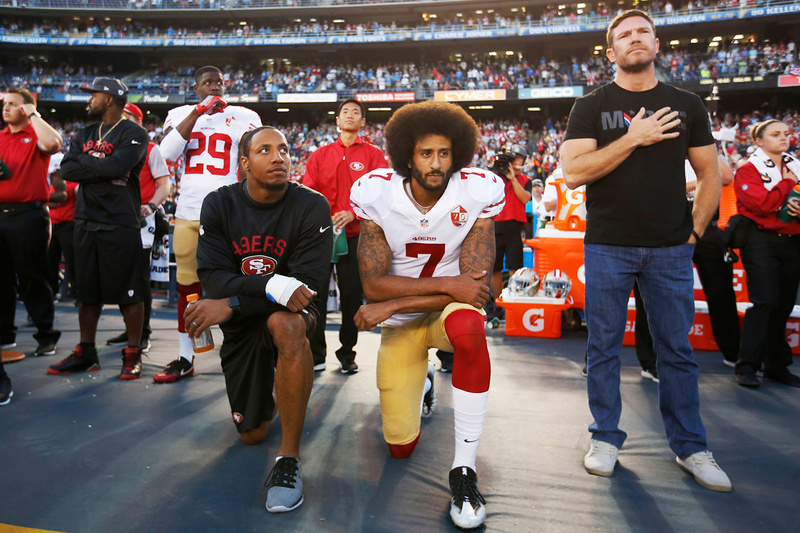 Eric Reid (left) and Colin Kaepernick (center) of the San Francisco 49ers kneel on the sideline during the anthem, as free agent Nate Boyer stands, before the game against the San Diego Chargers at Qualcomm Stadium on Sept. 1, 2016, in San Diego. The 49ers defeated the Chargers, 31-21. Kaepernick pledges $1 million of his salary to various social activism organizations. “I’ve been very blessed to be in this position and make the kind of money I do, and I have to help these people. I have to help these communities,” he told reporters. 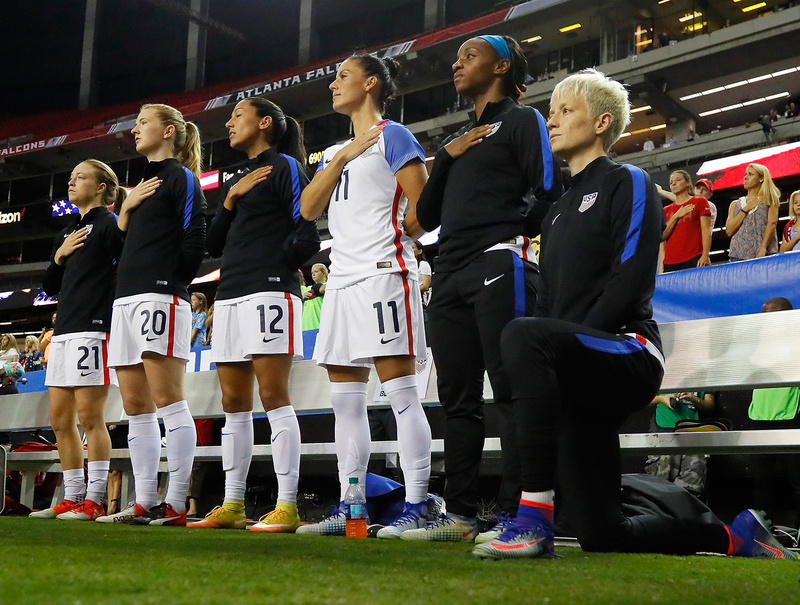 Megan Rapinoe (right) kneels during the national anthem before the match between the United States and the Netherlands at Georgia Dome on Sept. 18, 2016, in Atlanta. Women’s soccer player Megan Rapinoe becomes first white athlete to join Kaepernick in kneeling during the anthem. Every player on the WNBA’s Indiana Fever locks arms and kneels while two players from the Phoenix Mercury also kneel during the anthem before a playoff game. 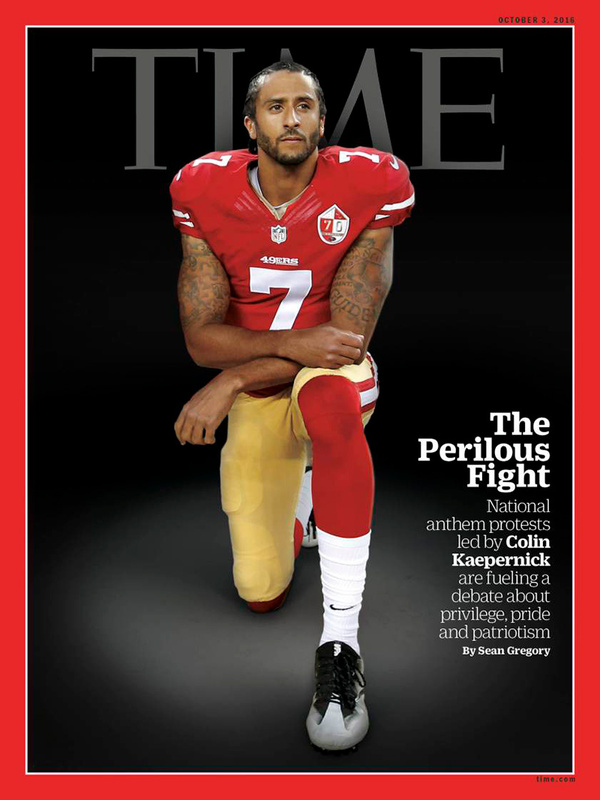 Time magazine puts Kaepernick on its cover with the headline The Perilous Fight. Kaepernick and the 49ers agree to restructure his contract, eliminating the final four years of the deal and giving the team more financial flexibility in the event Kaepernick was injured. Colin Kaepernick (center) of the San Francisco 49ers rushes during the game against the Buffalo Bills at New Era Field Oct. 16, 2016, in Orchard Park, New York. 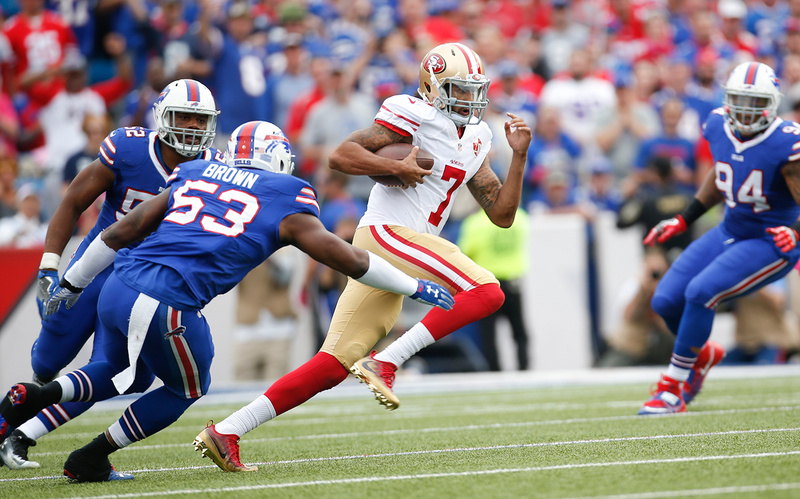 The Bills defeated the 49ers, 45-16. Kaepernick starts first game of the season during Week 6 versus the Buffalo Bills, throwing for 187 yards and one touchdown and rushing for an additional 66 yards in a 45-16 loss. Colin Kaepernick of the San Francisco 49ers looks on from the sidelines during the second half against the Atlanta Falcons at the Georgia Dome on Dec. 18, 2016, in Atlanta. Colin Kaepernick (center) of the San Francisco 49ers fires the team up on the field before the game against the Seattle Seahawks at Levi Stadium on Jan. 1, 2017, in Santa Clara, California. Kaepernick says he will stand for the anthem during the 2017 season and going forward, according to ESPN’s Adam Schefter. Kaepernick opts out of the final season of his contract with the 49ers, becoming a free agent. Trump boasts about the claim that NFL owners fear a tweet from him. “There was an article today, it was reported, that NFL owners don’t want to pick him up because they don’t want to get a nasty tweet from Donald Trump, do you believe that?” he told a crowd at a Louisville, Kentucky, rally. 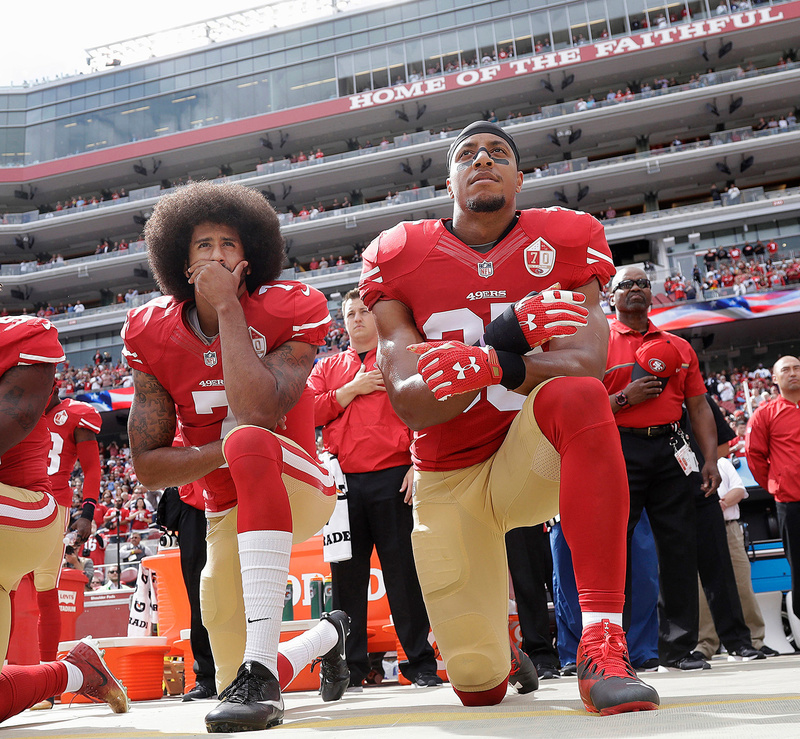 San Francisco quarterback Colin Kaepernick (left) and safety Eric Reid (right) kneel during the national anthem before an NFL football game against the Dallas Cowboys in Santa Clara, California. Reid says his Christian faith is the reason that he joined then-teammate Kaepernick in kneeling for the anthem. Kaepernick visits the Seahawks, the first and only team he has publicly visited since becoming a free agent. Lynch says the 49ers were planning to release Kaepernick if he hadn’t opted out of his contract. “Yes, [he would have been cut] and we had that conversation with him,” the general manager told Pro Football Talk. The Seahawks sign quarterback Austin Davis, who missed the entire 2016 season. Schefter says he believes individual team owners are blocking coaches and their front offices from signing Kaepernick. After starting quarterback Joe Flacco injures his back, Baltimore Ravens coach John Harbaugh says Kaepernick is “a really good football player” who the team would consider signing. People participate in a rally against the NFL, supporting Colin Kaepernick in New York City Aug. 23, 2017. Kaepernick comes in at No. 39 in the NFL’s official top 50 merchandise sales, the only free agent to do so. Cleveland Browns tight end Seth DeValve becomes first white NFL player to kneel for the national anthem. 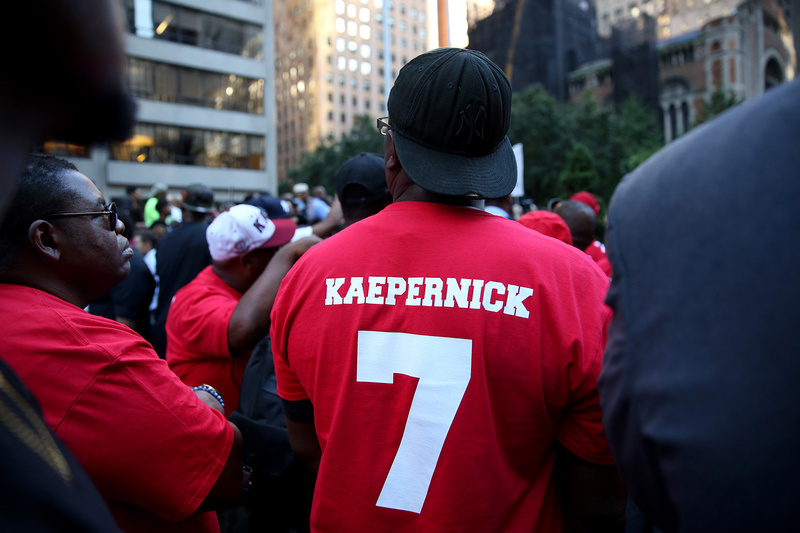 More than 1,500 demonstrators convene outside the NFL headquarters in New York City for the United We Stand: Rally for Colin Kaepernick. Former Ravens linebacker Ray Lewis says the team considered signing Kaepernick until Nessa Diab, Kaepernick’s partner, tweeted out an image comparing Lewis and Ravens owner Steve Bisciotti to two characters in Django Unchained. An entire Illinois Pee Wee football team made up of 8-year-olds kneels during the anthem. Yahoo! Sports publishes a 2,740-word document drafted by Seahawks defensive end Michael Bennett, Philadelphia Eagles safety Malcolm Jenkins and receiver Torrey Smith, and former NFL receiver Anquan Boldin requesting league support for player social activism causes. Iowa high school football player Darius Moore kneels during the anthem and is called the N-word a week later by a schoolmate on social media site Snapchat. Some members of the Kennesaw State cheerleading squad take a knee to protest racial injustice. The Howard University cheerleading squad (from left to right: Alex Jones, Sydney Stallworth, Kianna Robinson, and Jade Watson) takes a knee during the playing of the national anthem before their football game against North Carolina Central University at Greene Stadium in Northwest Washington, D.C. 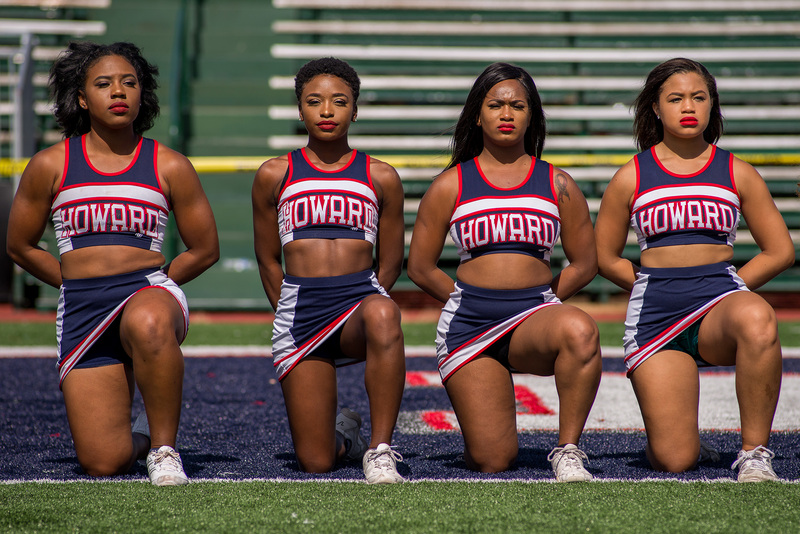 The Howard cheerleading squad takes a knee before a football game against North Carolina A&T, which catches the eye of the New York Times. Division III football player Gyree Durante is dismissed from Albright College program for kneeling during anthem. League executives, team owners and players meet about community activism and the league policy on standing for the anthem. 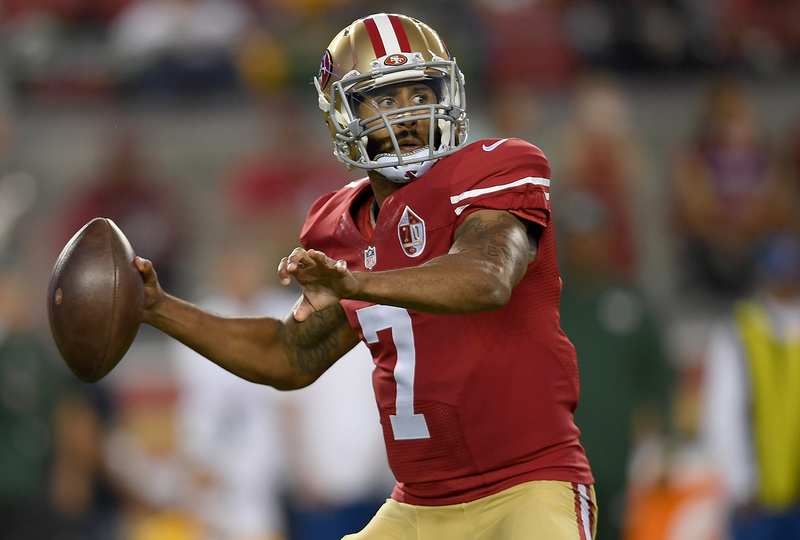 Kaepernick is reportedly invited to a second players-owners meeting, but the quarterback’s lawyer says no formal invitation was sent to Kaepernick. NFL meeting with Kaepernick falls through after the league rejects the quarterback’s request for a mediator to be present. NFL agrees to partner with its players to produce social justice change, pledging $89 million to causes important to the African-American community. Players Reid and Michael Thomas break from the Players Coalition. Colin Kaepernick (right) receives the SI Muhammad Ali Legacy Award with Beyoncé (left) and Trevor Noah during the Sports Illustrated 2017 Sportsperson of the Year Show on Dec. 5, 2017, at Barclays Center in New York City. 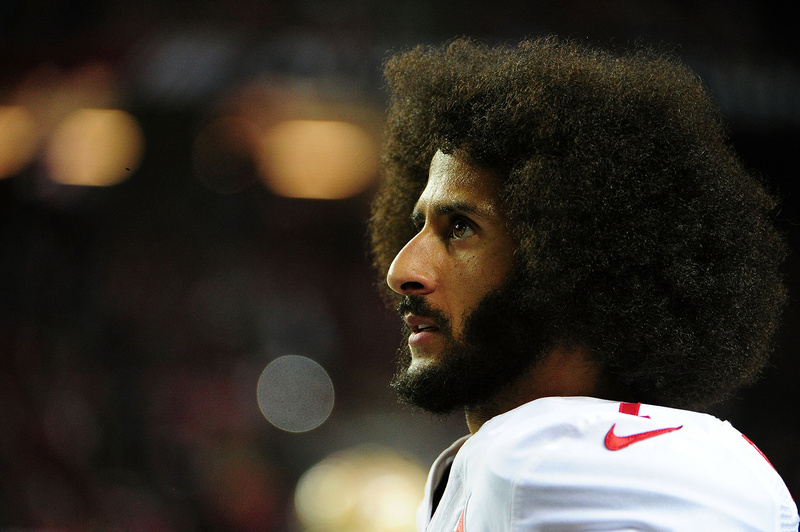 Kaepernick wins Sports Illustrated’s Muhammad Ali Legacy Award. Kaepernick receives a standing ovation as he accepts the American Civil Liberties Union of Southern California’s Eason Monroe Courageous Advocate Award during its annual Bill of Rights dinner. Beyoncé presents Kaepernick with the Sports Illustrated award during a ceremony at the Barclays Center in New York. NFL commissioner Roger Goodell tells CNBC that he doesn’t believe Kaepernick is being blackballed by league owners. Kaepernick announces that he and a collection of friends will donate the final $100,000 of his $1 million pledge over 10 days. Kaepernick extends the donation period into the next month and eventually raises at least $460,000. Kaepernick is spotted (and later posts videos of himself) throwing passes at a Houston workout facility, the first known footage of him working out since he opted into free agency. Houston Texans owner Bob McNair is deposed in Kaepernick’s collusion grievance case. The Seahawks postpone an in-person visit to the team’s headquarters after Kaepernick wouldn’t assure them that he wouldn’t kneel for the upcoming season, according to Schefter. Dallas Cowboys owner Jerry Jones is deposed in Kaepernick’s collusion grievance case. Stephen Morris of the Indianapolis Colts in action against the Pittsburgh Steelers during a preseason game on Aug. 26, 2017, at Heinz Field in Pittsburgh. 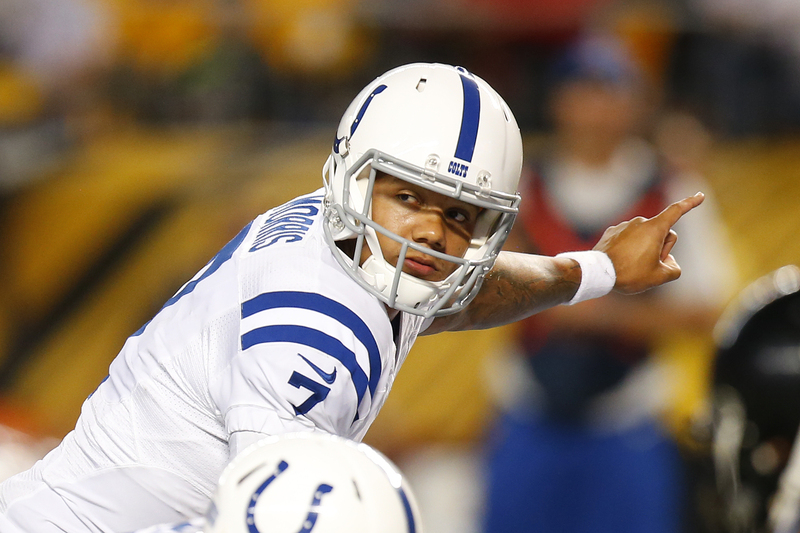 The Seahawks sign quarterback Stephen Morris, who has never played in an NFL game. NFL unanimously approve a new national anthem policy that requires players to stand if they are on the field or stay in the locker room during the performance if they choose not to stand. The Miami Dolphins say they could suspend players up to four games for not standing for the anthem. A day later, the league and NFL Players Association announce the new anthem policy will not be “enforced” until the two sides come to an agreement. Electronic Arts, maker of the Madden NFL video game franchise, removes a reference to Kaepernick’s name from rapper YG’s song “Big Bank,” which is used in the soundtrack of the game. The video game company later apologizes for the omission, calling it an “unfortunate mistake” due to a misunderstanding of the rights to use Kaepernick’s name. Nike taps Kaepernick as one of the faces of its 30th anniversary celebration of the iconic “Just Do It” campaign, using the quarterback in social ads and television commercials. Mark Geragos, Kaepernick’s attorney, insinuates to TMZ that at least two NFL teams are interested in signing his client to a contract. Kaepernick files trademark for a black-and-white image of his face and hair with the U.S. Patent and Trademark Office. The 49ers apologize for omitting images of Kaepernick from its online photo gallery celebrating the team’s history against the Green Bay Packers. 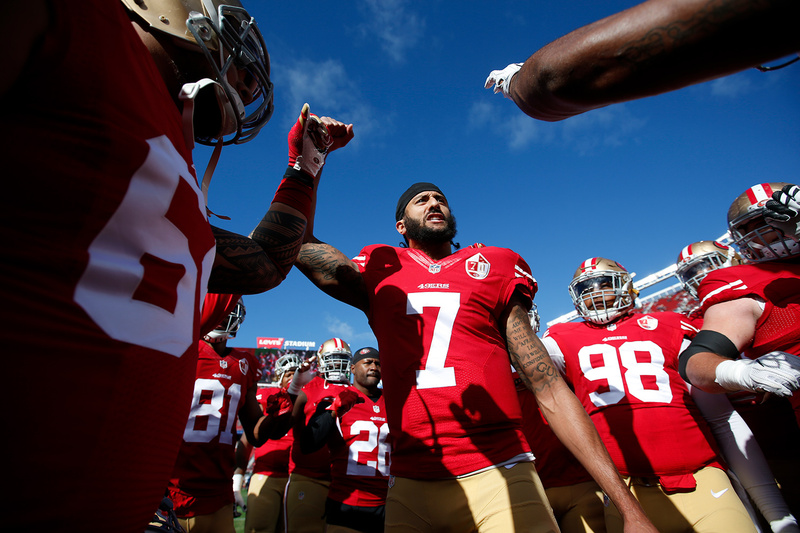 A survey by The Athletic finds that 95 percent of NFL defensive players believe Kaepernick should be on a roster. Multiple close associates of Kaepernick push back on report that he and rapper Travis Scott had “mutual respect and understanding” after Scott spoke to Kaepernick over the phone about performing during halftime of the Super Bowl. This story has been updated since its original publication on Dec. 29, 2017, to reflect recent events.